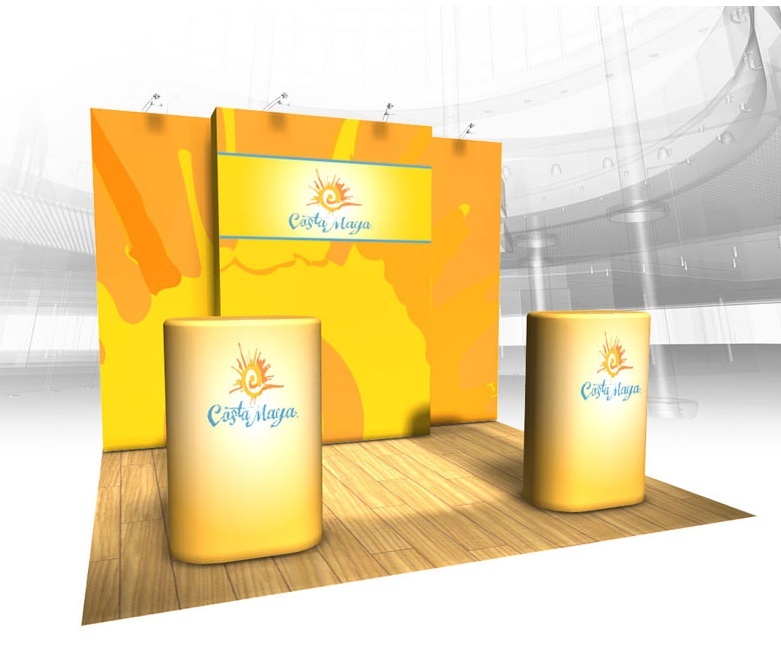 Burst Tension Fabric PopUp Display System from Thompson Kerr Displays, features a simple pop up frame with a seamless colossus dye sublimation graphic. The large graphic is attached to the frame and stretches to produce a smooth, continuous image. This trade show display is available as a tabletop or freestanding pop up trade show display and as a flat wall or curved wall. All Burst Trade Show Display prices includes the frame, graphic, and canvas-carrying bag. Unit is backed by a lifetime warranty on the hardware! !